There aren’t many days in Austin that people want to spend indoors. 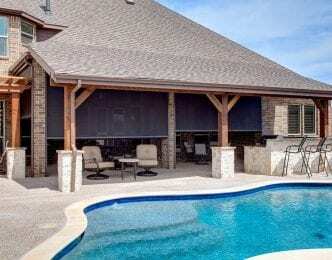 When you’re in the mood to lounge in your outdoor living space, you may not have to wait for the perfect day to roll around if you have the right exterior shades to protect your space. 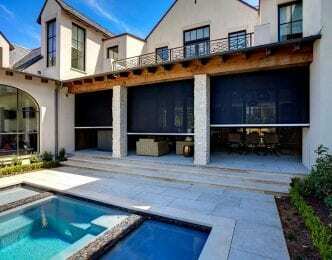 DECO Window Fashions offers a wide selection of exterior shades from Universal Screens Brand Names Insolroll Exterior Shades, Corradi USA to help you create your ideal, insulated and energy efficient outdoor space. Exterior shades are a window treatment that offer both aesthetic appeal and serve a practical purpose. They help clearly define your outdoor space, making it feel more like a room, while also offering protection against the elements, increasing the amount of time per year you can utilize the space to its full potential. 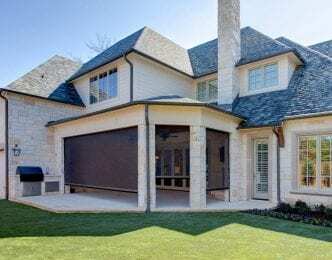 Whether you are creating a new space for summer entertainment, or improving your existing space with some much needed upgrades, exterior shades are a must have for any Austin homeowner. With the help of our professional team, you can find stylish and functional shades that suit your personal lifestyle, needs, and budget. Drop by our local Austin store to go over your options with a DECO Window Fashions window treatment expert, and we’ll take it from there. From selecting your new shades, to installing them, we are with you every step of the way to make your project as seamless as possible, and to ensure your final space is exactly what you envisioned. Contact us today, or come visit us to get started!